DJ, music producer, event organizer, Jason Skilz (aka Jason Pelletier) has DJ'ed across Canada and events in the US, UK, Germany and Asia. Co-producer and music director of Spins & Needles music label and production company with partner Melanie Yugo. 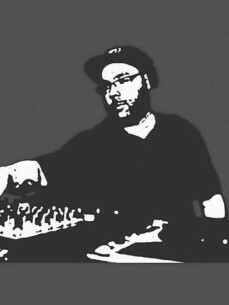 Jason has played alongside many Funky / Jacking House / Tech House DJs and producers in the past including: Corduroy Mavericks (Tango / Flapjack), Loopity Goofs (Blackcrack / Robsoul), Phil Weeks (Robsoul), Justin Long (.Dotbleep), Dave Allison (Kinjo / Editorial), Ed Marco (Fiasco / CHFM), Wayne Brett (LoFrequency / Flosshatt / CHFM), Pheek (M_nus / Archipel), Tim Hecker (Force Inc. / Alien8), Frivilous (~Scape / Berlin), Derek Plaslaiko (Spectral / Ghostly International), Naw (Noise Factory), Jordan Dare (Turbo), Sean Kosa (Turbo), Jofus (Red Planet, Underground Resistance), Leon Louder (Odds and Ends / Kinjo), Jap and Matic (Tempo), Noah Pred (Thoughtless), Cyan (Traktion / Modular Systems), Jamie Kidd (Metalogic / Thoughtless), Maus (Thougthless), Clifford Brown, Phono Jones (Kinjo), Broken Speaker (Kinjo / Footwear).